The University of Alabama at Birmingham (UAB) is accepting applications for a full-time, 12 month Assistant/Associate Professor in the Nuclear Medicine Technology Program, Department of Clinical and Diagnostic Sciences, School of Health Professions (SHP). Salary, academic rank, and tenure status will be commensurate with qualifications and experience. Fringe benefits are provided that include a retirement plan, health care benefits, and generous paid time off. SHP is one of our nation’s largest and most diverse schools of its type with more than twenty programs at the baccalaureate, masters, and doctoral levels. UAB is nationally renowned with the Carnegie classification of RU/VH: Research Universities (very high research activity). UAB contains an academic medical center with multiple opportunities for collaborative scholarly activities. 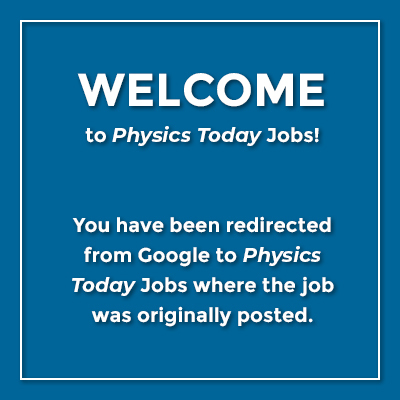 This position will minimally require a Doctoral degree in Physics, Health Physics, Medical Physics, or a closely related field; and preferably certification by the American Board of Science in Nuclear Medicine (ABSNM), American Board of Health Physics (ABHP), or American Board of Medical Physics (ABMP), or American Board of Radiology (ABR). Preference will also be given to applicants with several years’ experience in teaching, research and expertise in design and development of a curriculum for graduate level Physics courses, or a strongly related field. Candidates with excellent interpersonal and written/oral communication skills, along with administrative and research experience preferred. Duties are shared among the UAB School of Health Professions, UAB School of Medicine, and UAB Radiation Safety office. Responsibilities include participation in teaching, research, and service. Birmingham is an international city that enjoys a reputation as one of America’s best places for a family to live, work, and play. Required Qualifications: Doctoral degree in Physics, Health Physics, Medical Physics, or a closely related field is required. Preferred Qualifications: Preference will be given to applicants with: Certification by the American Board of Health Physics (ABHP), or American Board of Medical Physics (ABMP), or American Board of Radiology (ABR). Preference will also be given to applicants with several years’ experience in teaching, research and expertise in design and development of a curriculum for graduate level Physics courses, or a strongly related field. Experience with Dosimetry, Monte Carlo simulations and related software packages is also preferred. Salary, academic rank, and tenure status will be commensurate with qualifications and experience. Fringe benefits are provided that include a retirement plan and health care benefits. Interested applicants will need to submit three references, Cover Letter, CV, Research Statement, Statement of Teaching Philosophy and Syllabus to: http://uab.peopleadmin.com/postings/4964.